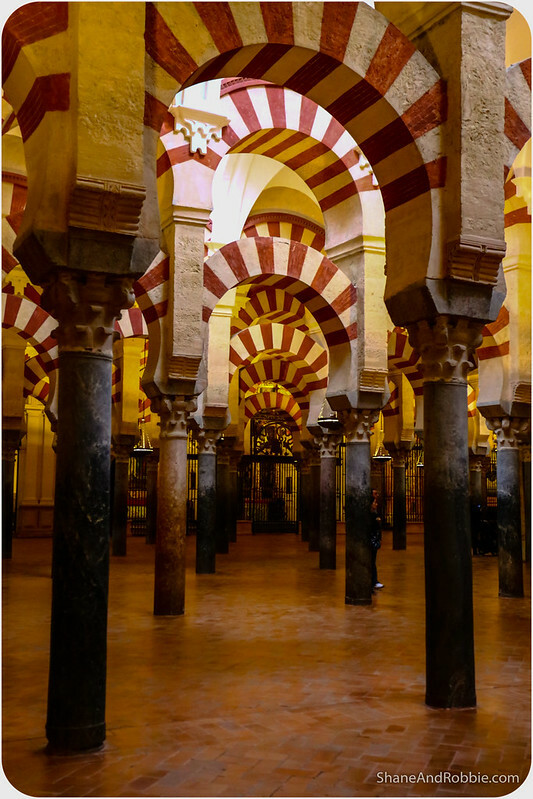 During the Muslim occupation of the Iberian Peninsula, Córdoba became one of the largest and most enlightened cities in the Caliphate. 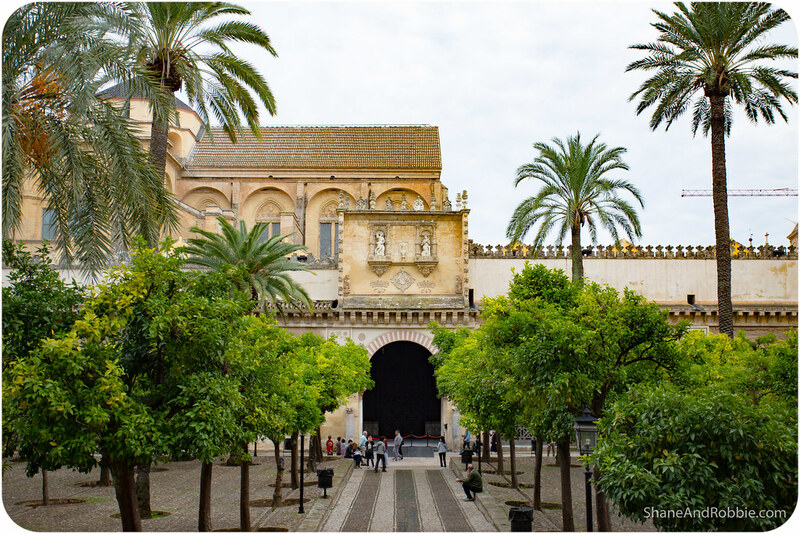 What is today a small, nondescript Andalusian town was once one of the greatest cities of the Medieval world, rivalling Constantinople in the East with its palaces and mosques. 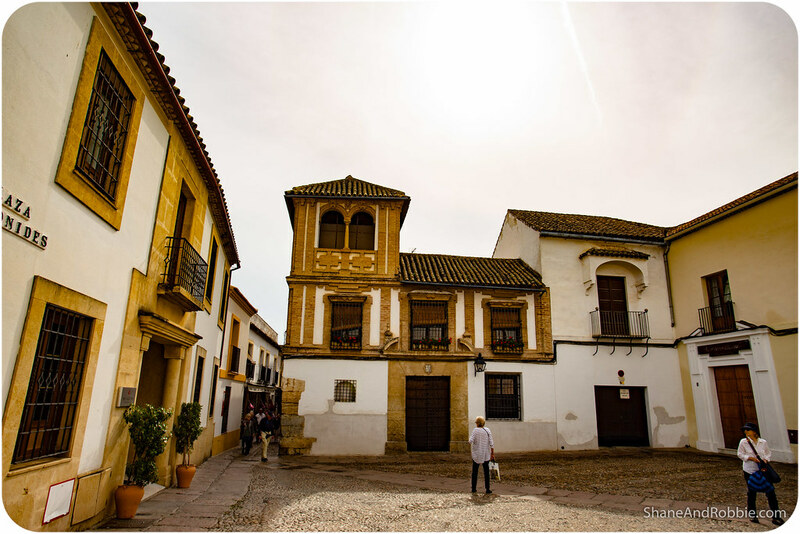 Just 45 minutes from Seville by train, Córdoba is close enough to visit on a day trip and small enough to explore in a day, so that’s exactly what we did! 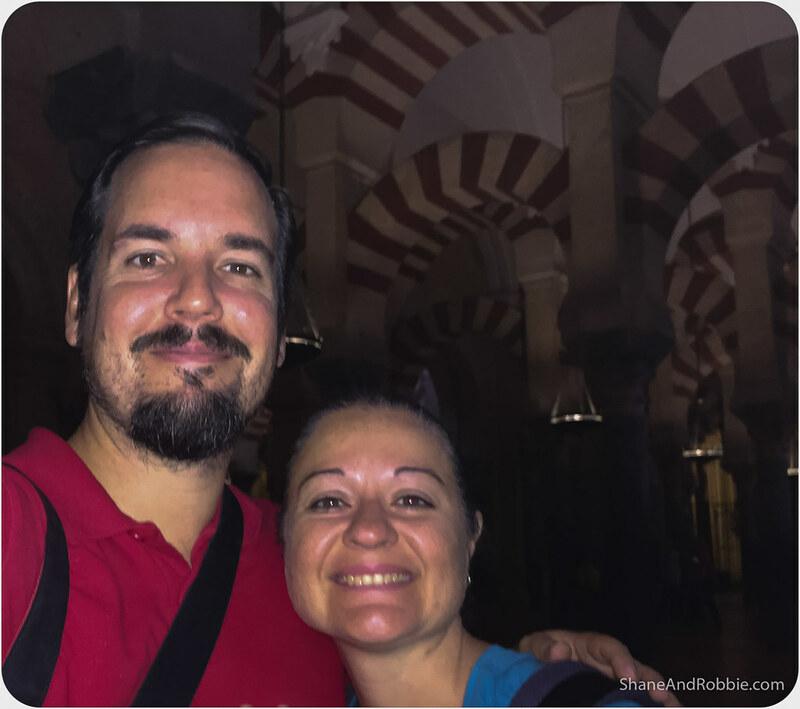 And boy are we glad we did – Córdoba is enchanting, and it’s Mezquita will forever remain etched into our memories as one of the greatest mystical sites in Europe. 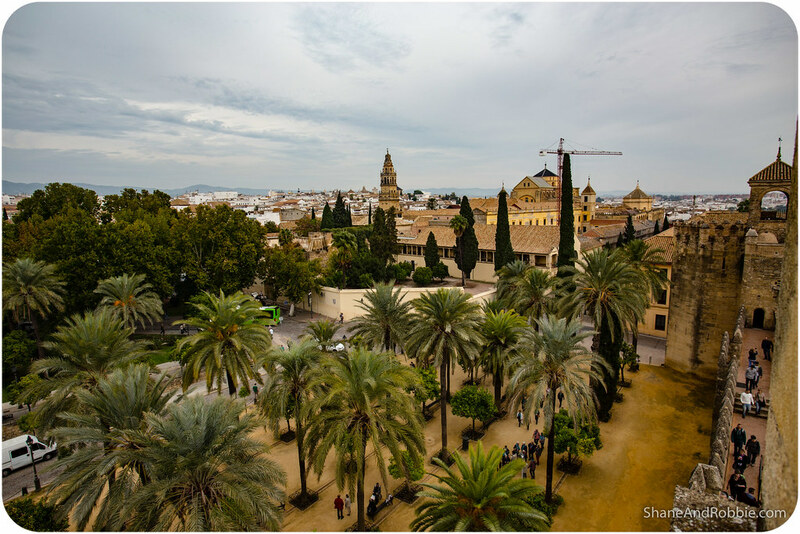 Originally a Roman fortified town, Córdoba was conquered by Islamic armies in the 8th century and soon became the capital of the Caliphate of Córdoba, which controlled most of the Iberian Peninsula. 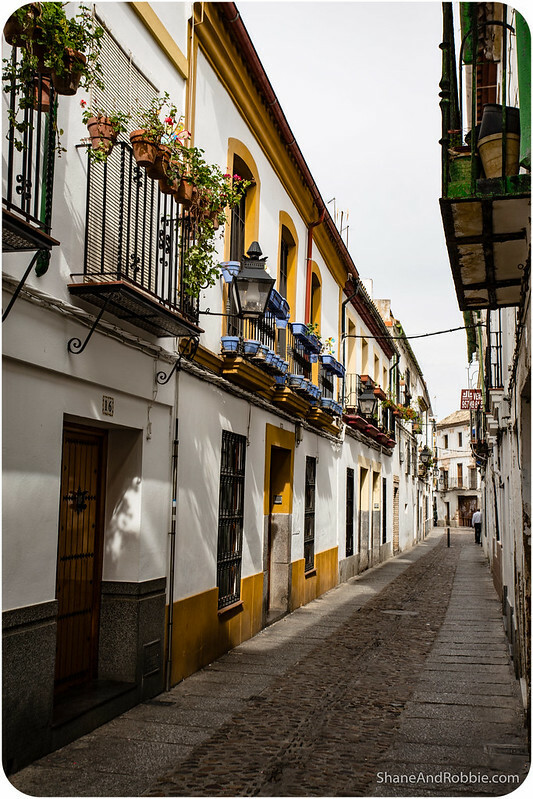 Located on the banks of the easily navigable Guadalquivir River, and with ready access to the mining resources of the Sierra Morena (where lead, and zinc were once found in abundance), the town was richly endowed with resources and quickly grew into a prosperous city. 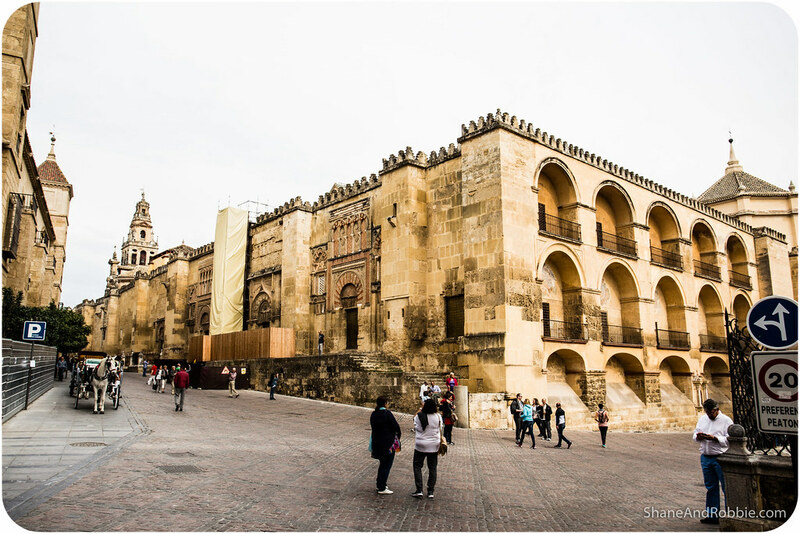 By the 10th century Córdoba was the most populous city in the world, with a population of around 500,000. 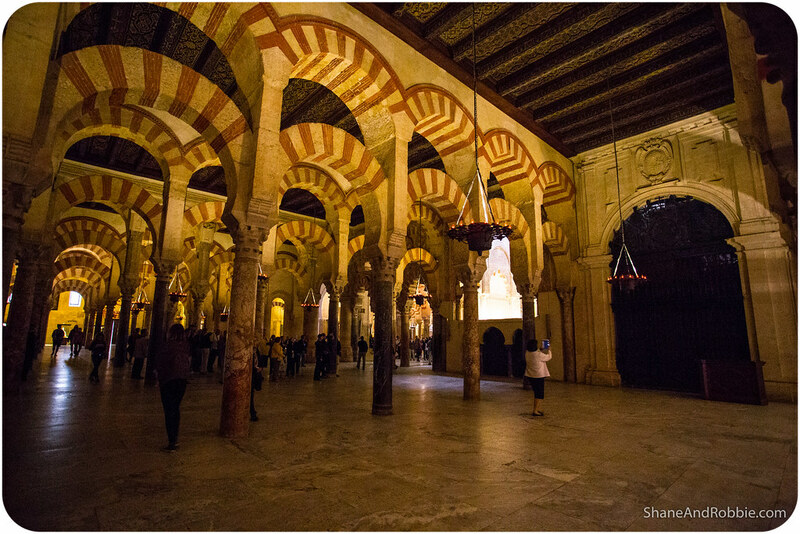 Under the rule of the Moorish Caliphs, it also grew to become a renowned centre of study. 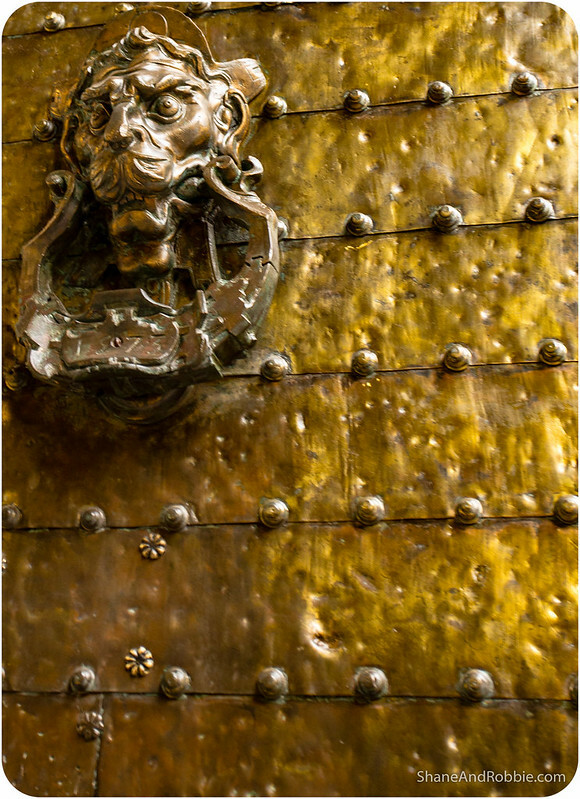 The city once housed numerous libraries*, as well as a medical school, and no fewer than 3 universities. 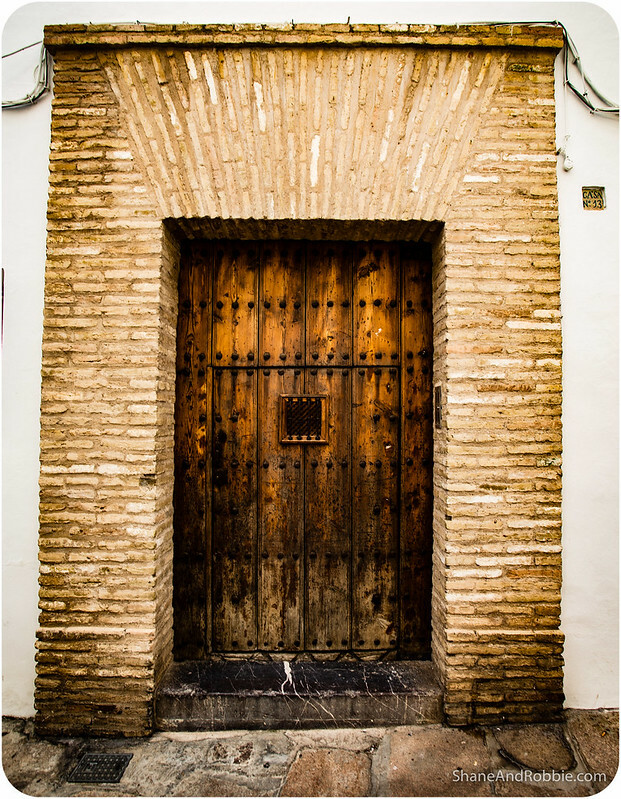 And it wasn’t just Islamic scholars that thrived in this prosperous city – a significant Jewish and Christian population also lived in Medieval Córdoba, contributing their own efforts to the city’s cultural, political, and economic advancement. 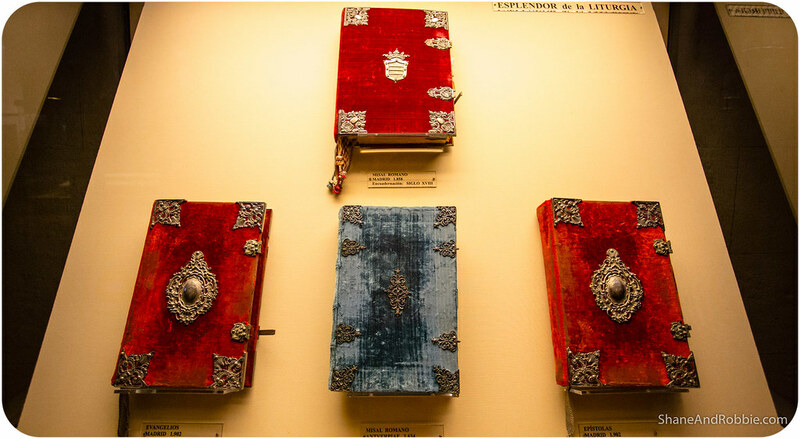 *The great library of Córdoba is said to have been one of the greatest of its time, housing a million volumes. 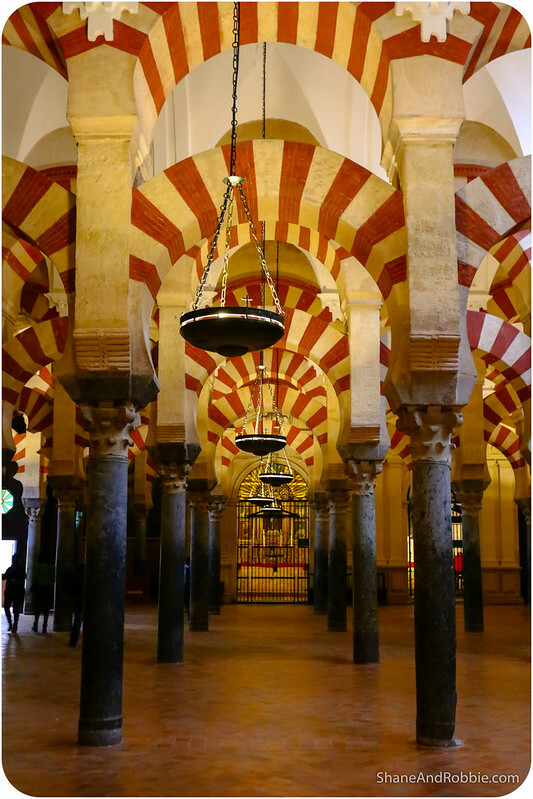 The Mezquita, once the great mosque of Córdoba, was built during the city’s years as a Moorish capital and dates back to 976. 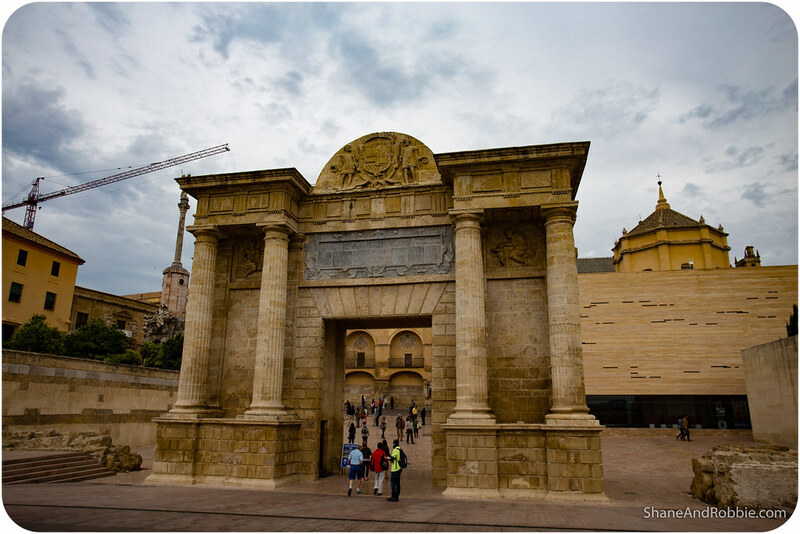 This fascinating site has been a place of worship for millennia: the Romans built a temple here around 200BC, then the Visigoths built a Christian church on the site – the bones of which the Moors incorporated into their grand mosque. 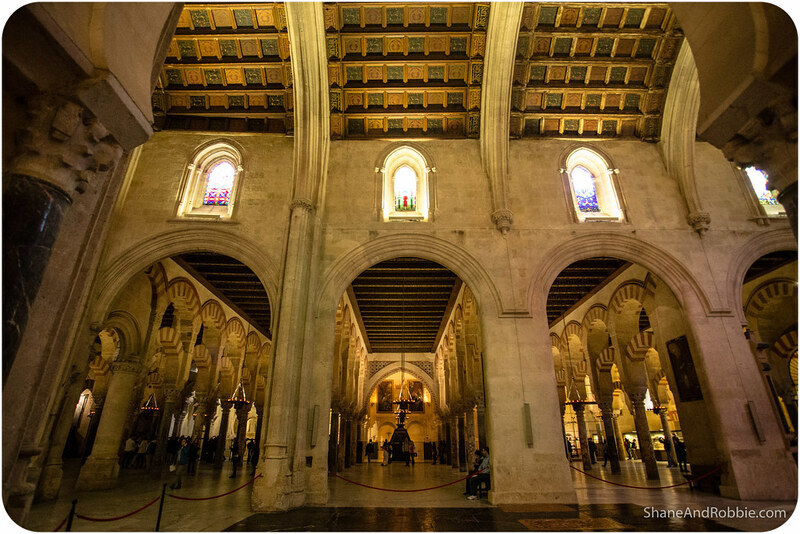 Finally, in the 13th century, the Spanish reclaimed Cordoba and built a cathedral within the mosque, creating one of the world’s most unique sacred places. 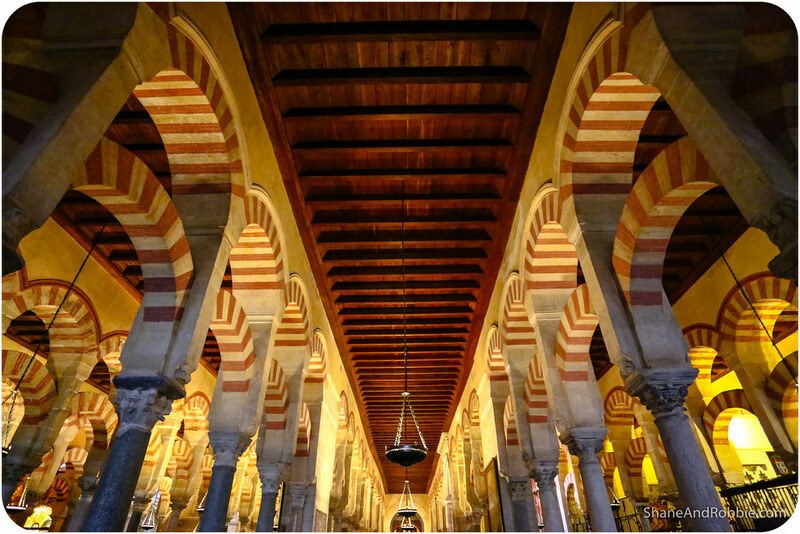 With its vaulted arches and forest of columns, Córdoba’s Mezquita is a beautiful and fascinating building. 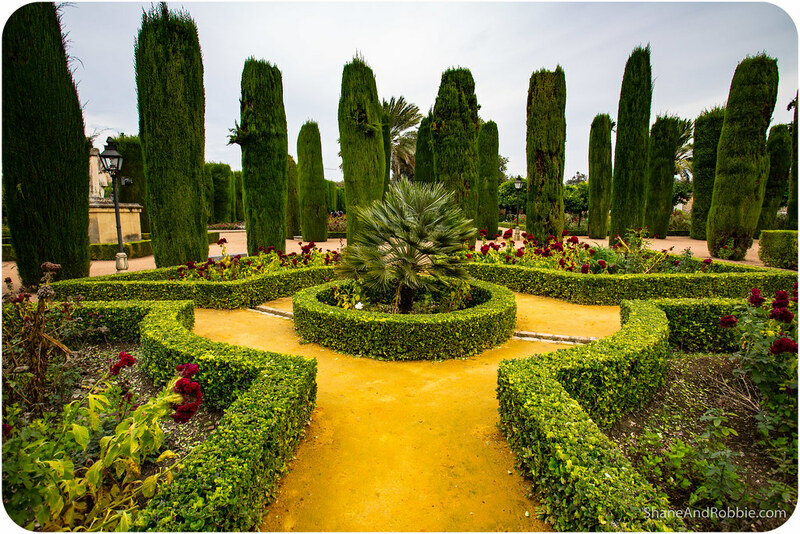 Its lines drew us in, leaving us mesmerised and enchanted. 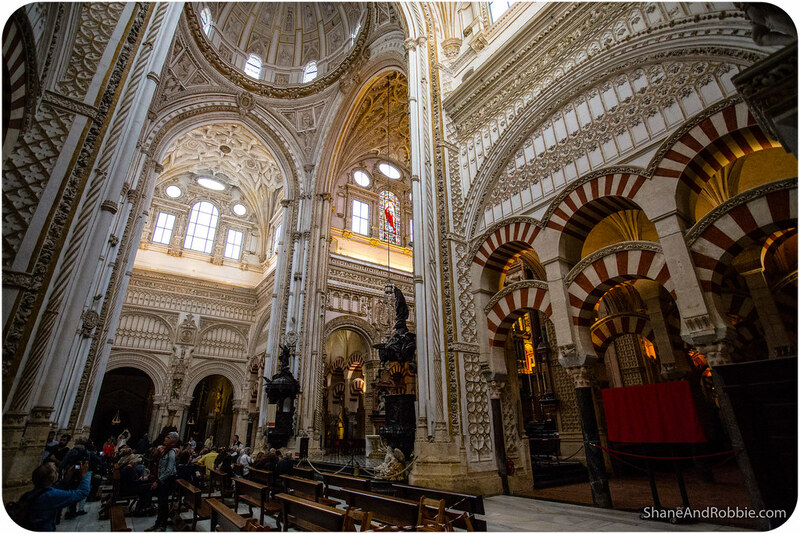 Today, the Mezquita is the Cathedral of Córdoba (officially the Cathedral of St. Mary of the Assumption), but the vast majority of its art and architecture is the work of Islamic architects. 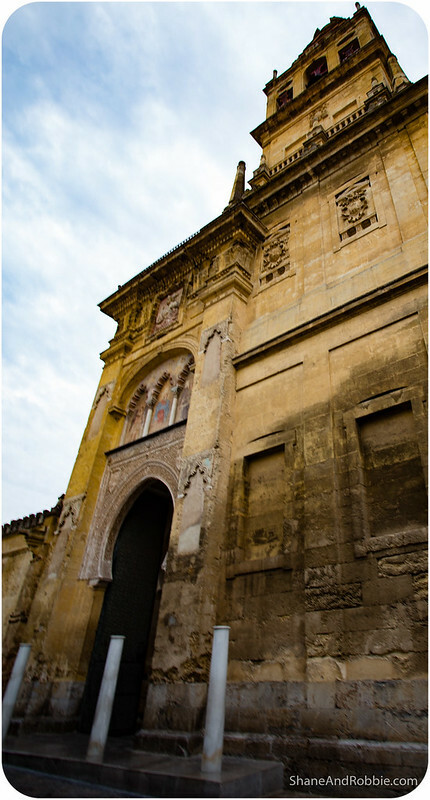 The main Christian architectural feature is the Baroque chapel that was built into the heart of the mosque. 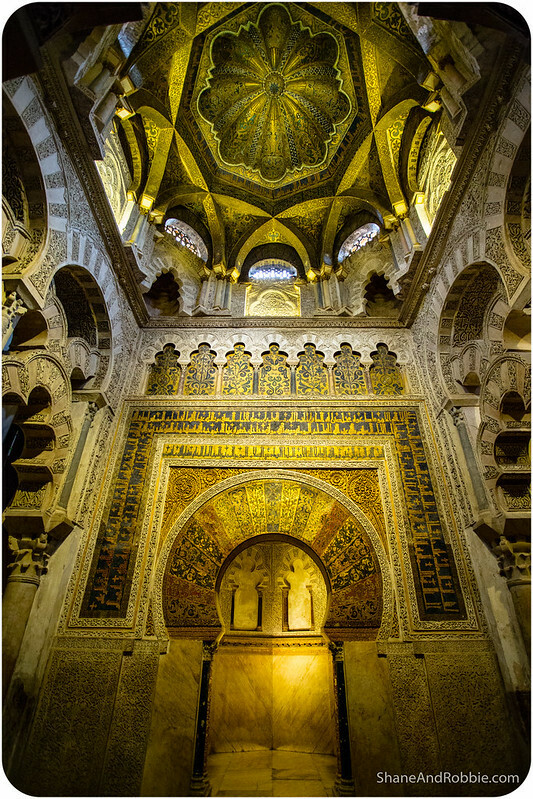 Heavy and incongruous, the Christian adornments looked so out of place next to the geometric beauty of the Islamic decorations. 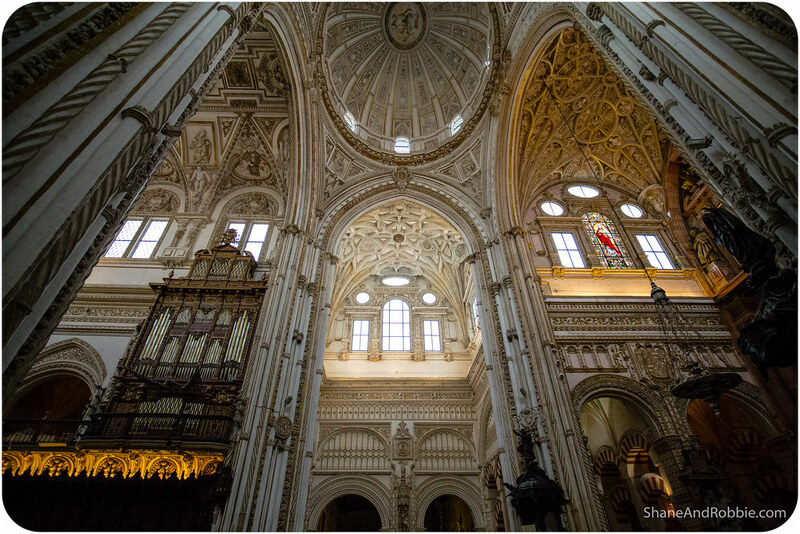 The Mezquita also features richly gilded Christian prayer chapels, occupying the peripheral niches. 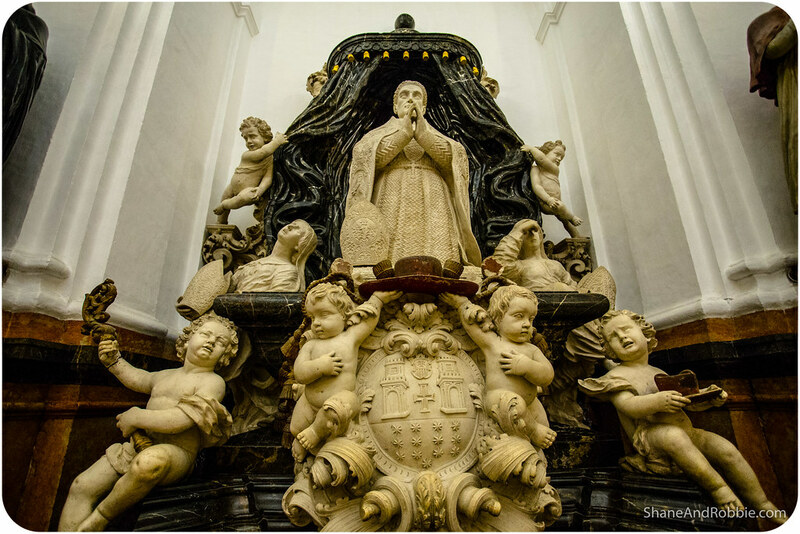 Again, the incongruity of these within what is so obviously a mosque was really odd – and fascinating. 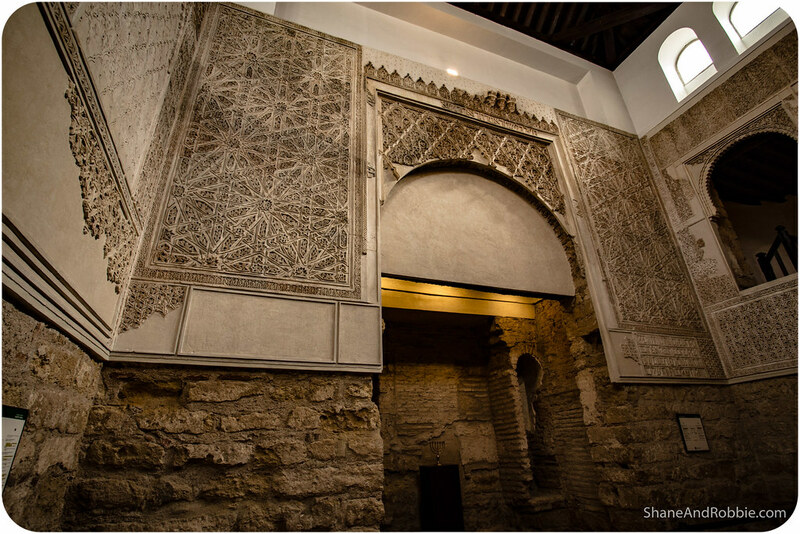 For us the Mezquita’s most interesting feature, however, was the mihrab. 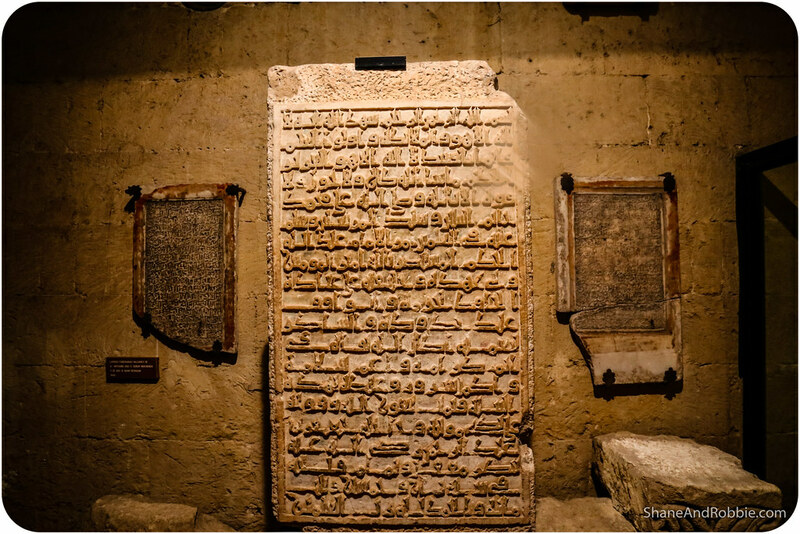 Beautifully decorated in typical Islamic style, this sacred area within the mosque once housed the Koran and relics of Muhammad. 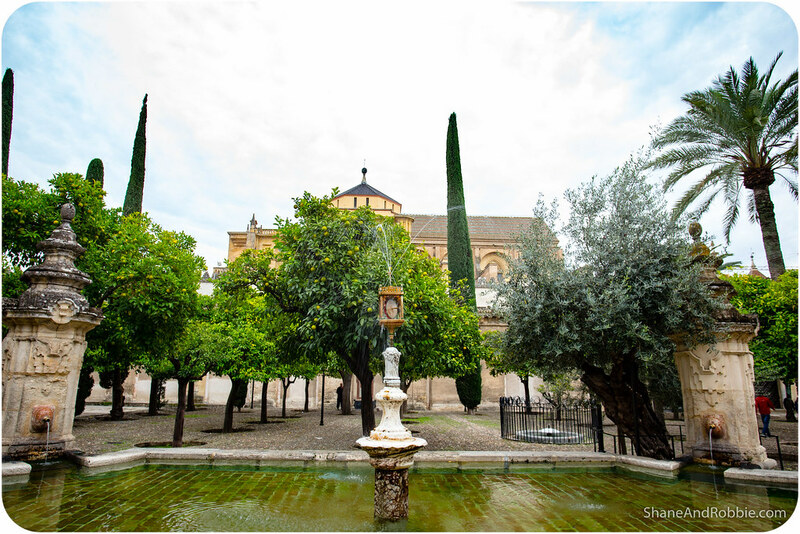 Outside the Mezquita we took a seat in the Patio de los Naranjos (i.e. 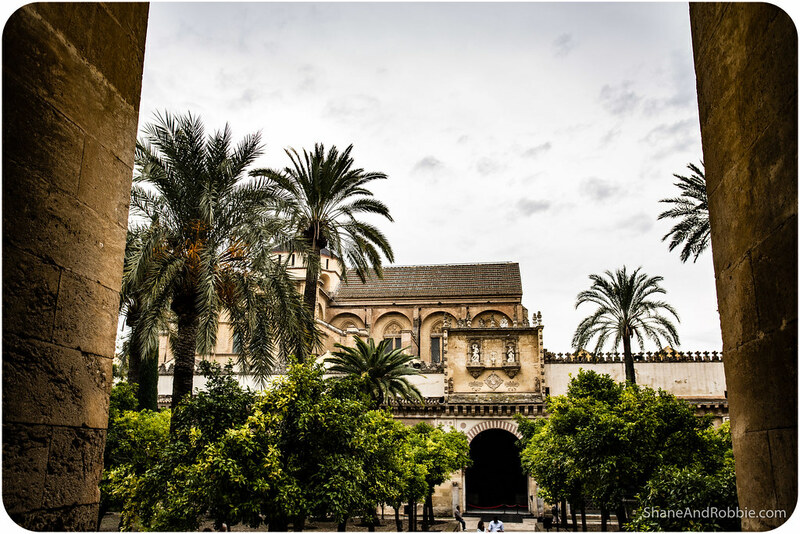 Courtyard of the Orange Trees), and admired the cathedral/mosque from the outside for a while. 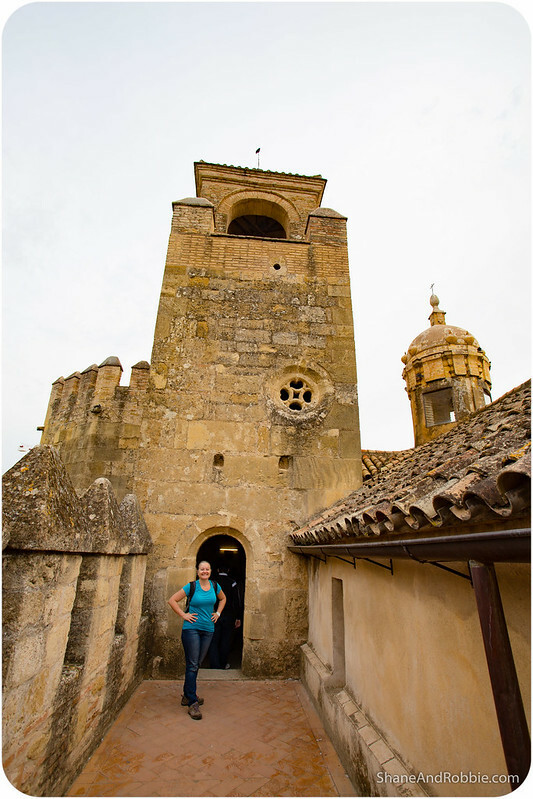 Also visible from the courtyard was the Torre del Alminar, the minaret once used to summon the faithful to prayer. 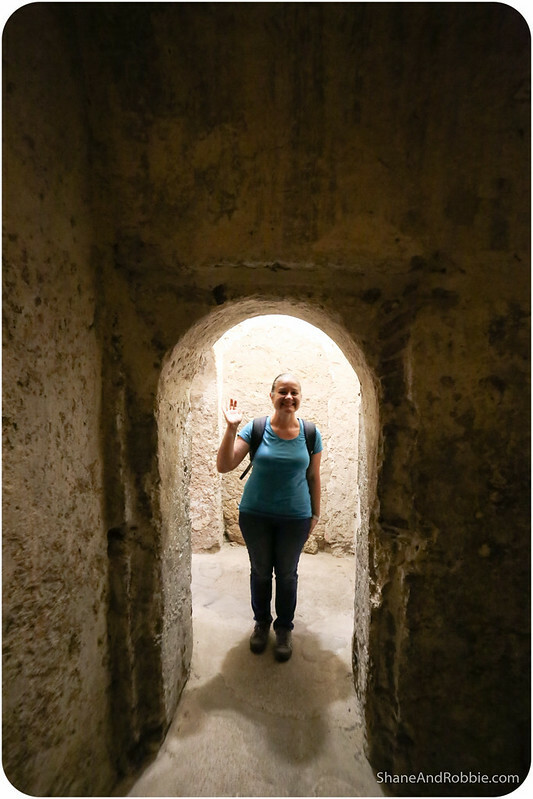 Normally you can climb the tower for views across the city, but it’s currently closed for renovations so we had to make do with staring up at it from below. 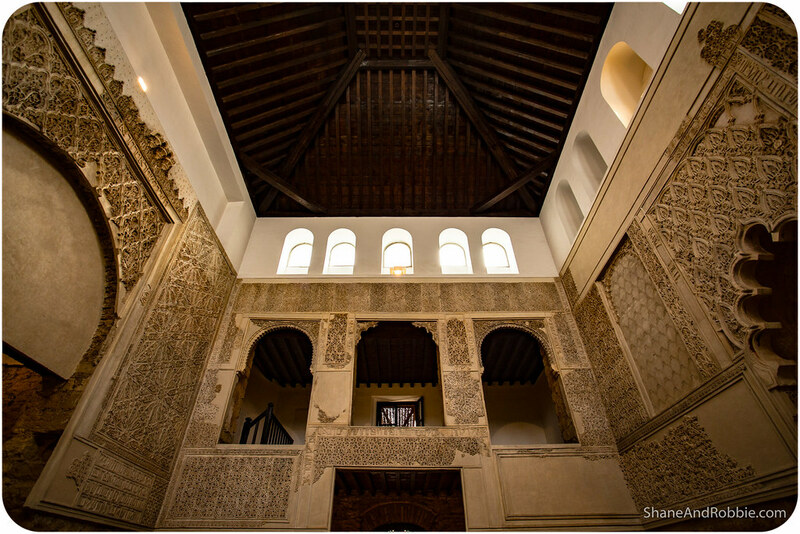 Not far from the Mezquita is the city’s other Moorish architectural wonder: the Alcázar of Córdoba. 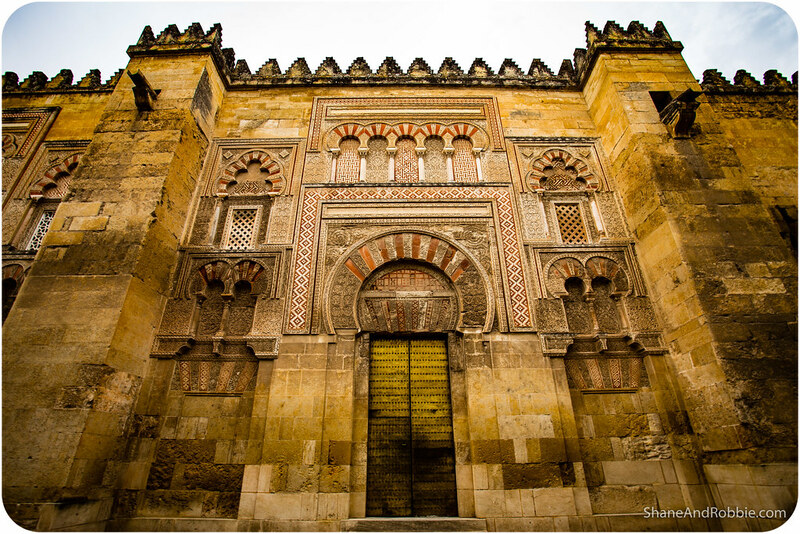 This Medieval palace was once the residence of the Caliph of Córdoba and must have been truly splendid building in its time. 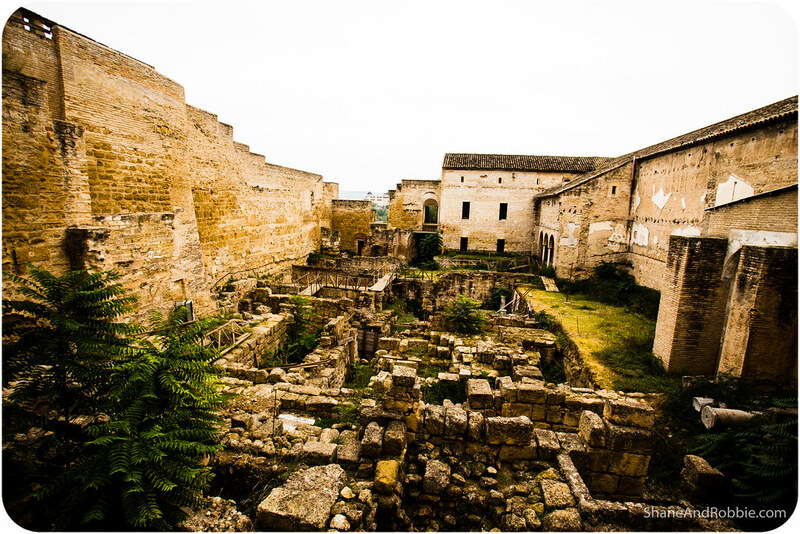 Today much of the building is in ruins, however, with just the exterior walls, a couple of guard towers, and a few rooms remaining. 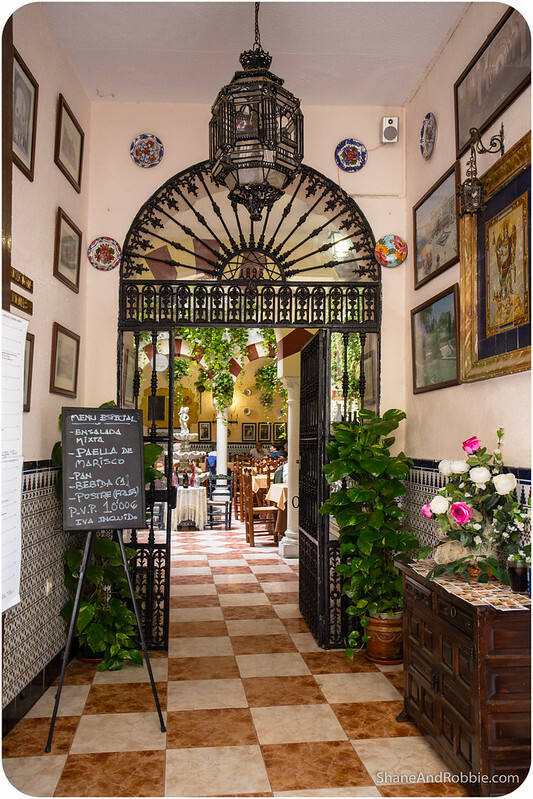 It was still worth the visit but pales in comparison to Seville’s glorious Moorish palace. 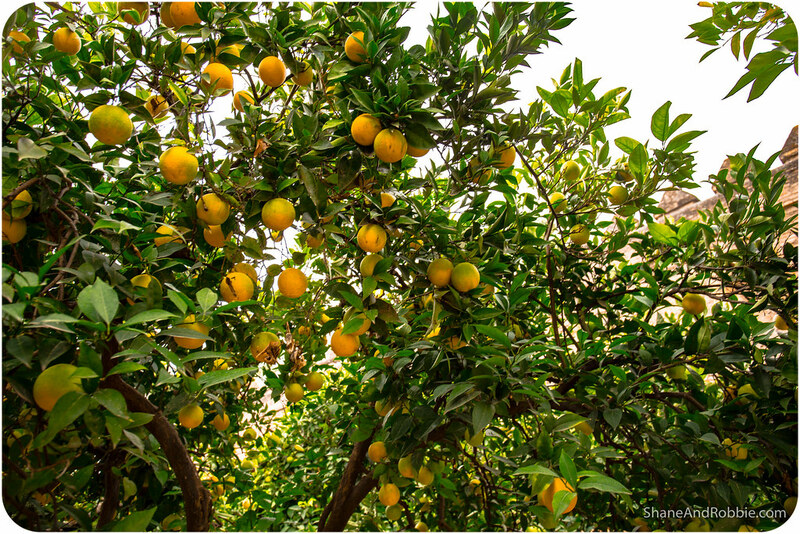 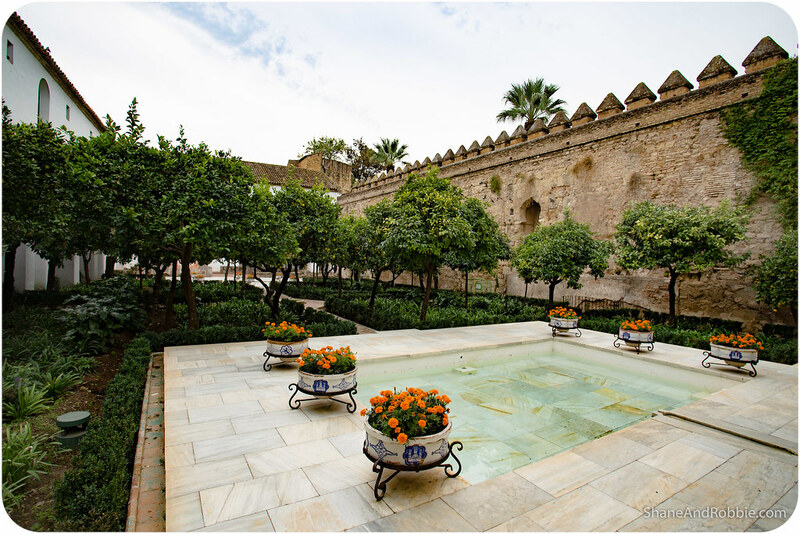 The best part of the Alcázar of Córdoba were actually its gardens, which was wonderfully landscaped with a wide variety of plants, palm trees, cypresses, orange trees, lemon trees, and pomegranate trees. 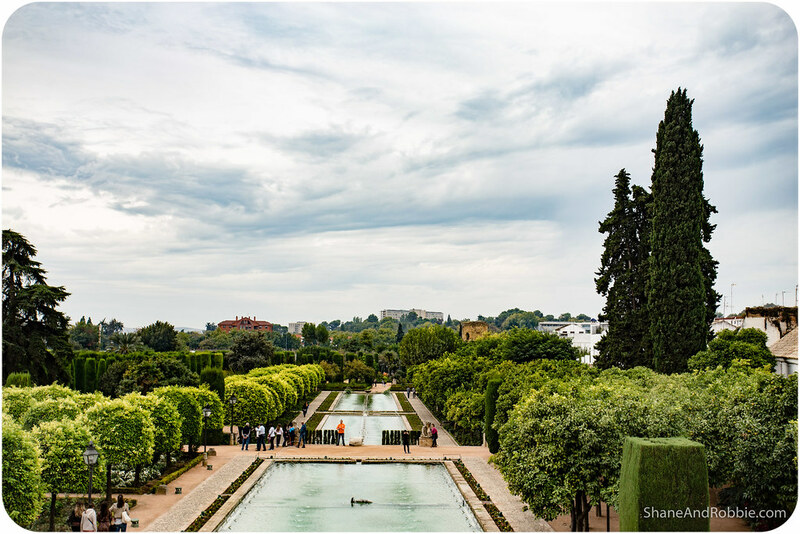 Originally the water to irrigate the gardens was brought in by an aqueduct from the Sierra Morena and a great waterwheel in the River Guadalquivir nearby helped with the supply. 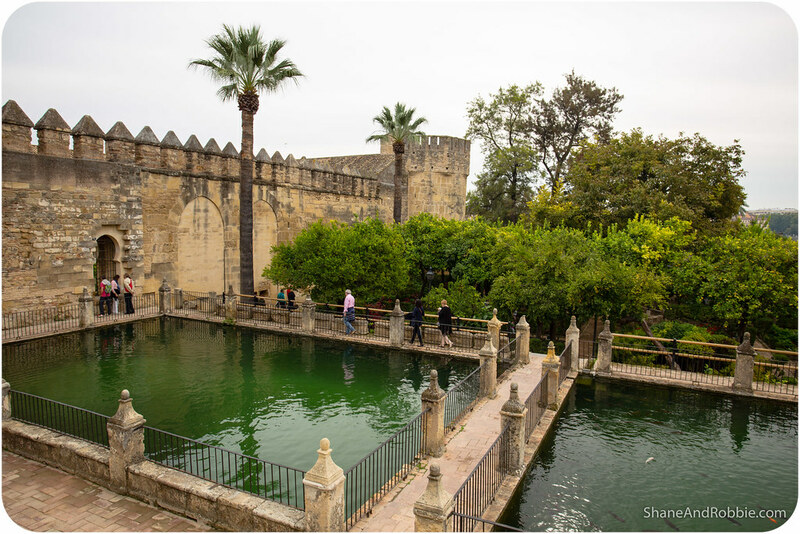 We actually saw a reconstruction of the original waterwheel just outside the walls of the Alcázar, as we walked along the river. 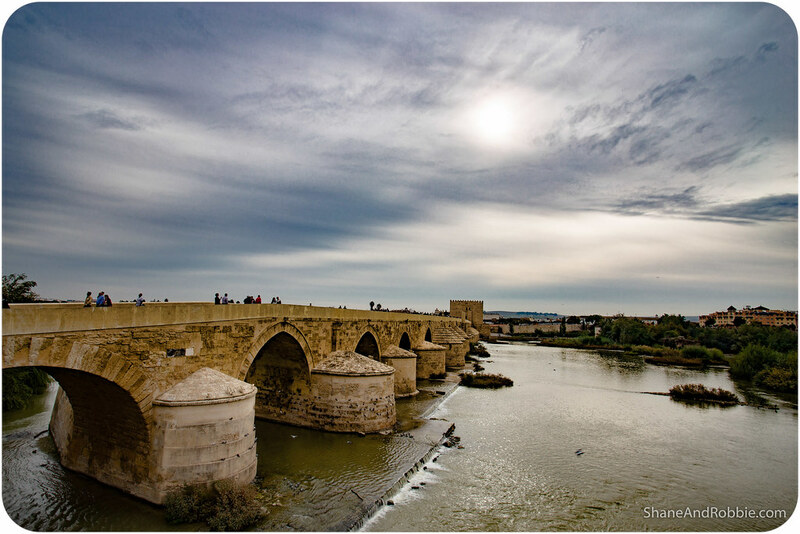 From the riverbank promenade we also got perfect views across to the Roman bridge of Córdoba. 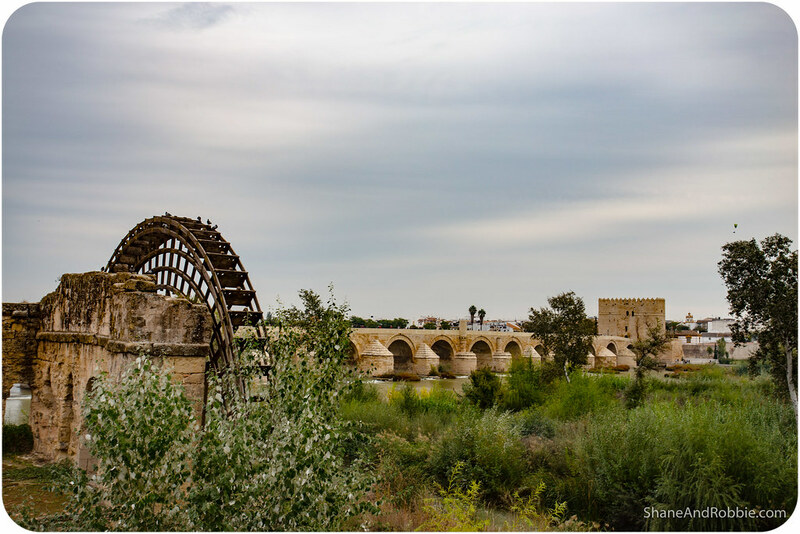 Built in the 1st century BC, the original bridge has long since been replaced, but still stands as a reminder of the city’s long and prestigious history. 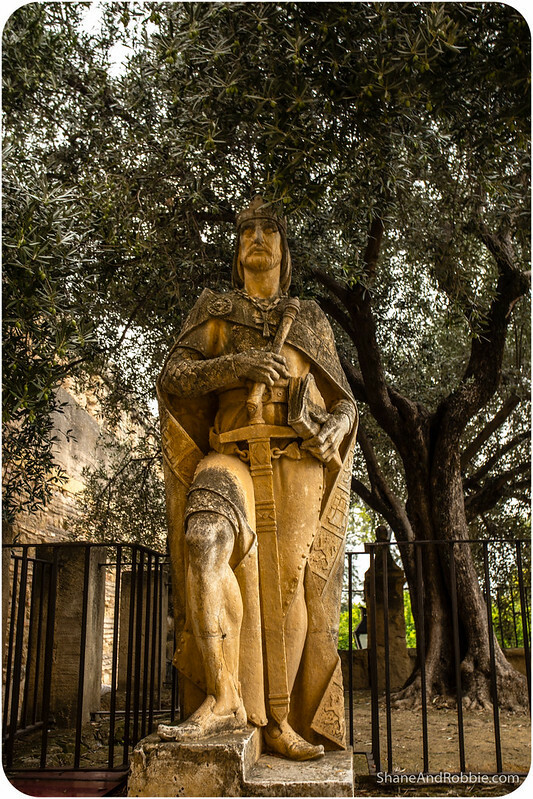 In the Middle Ages, the Calahorra Tower and the Puerta del Puente were built at the bridge’s Southern and Northern ends to help guard the important passage across the River Guadalquivir. 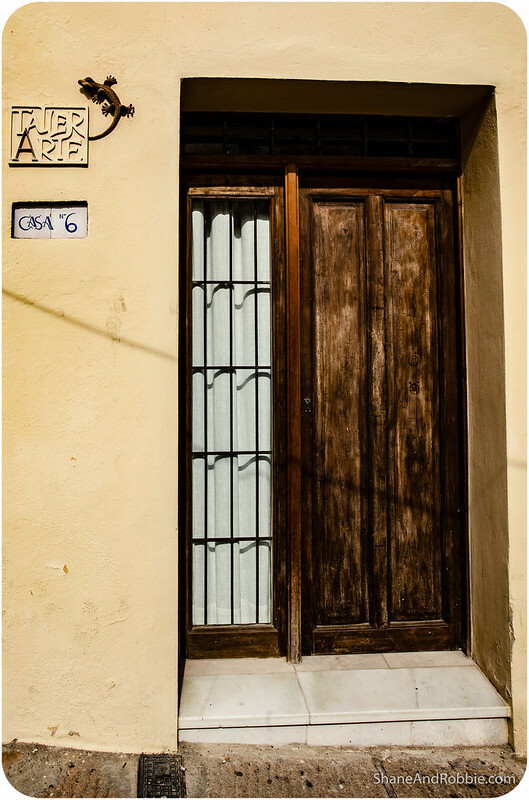 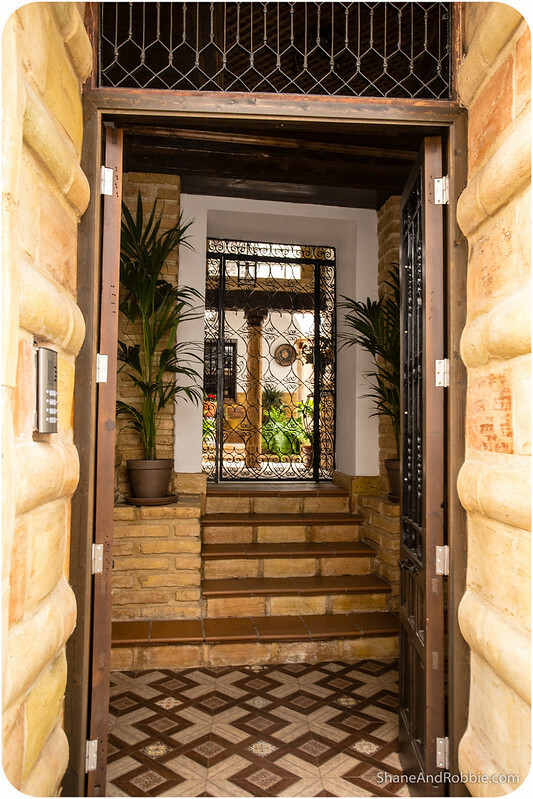 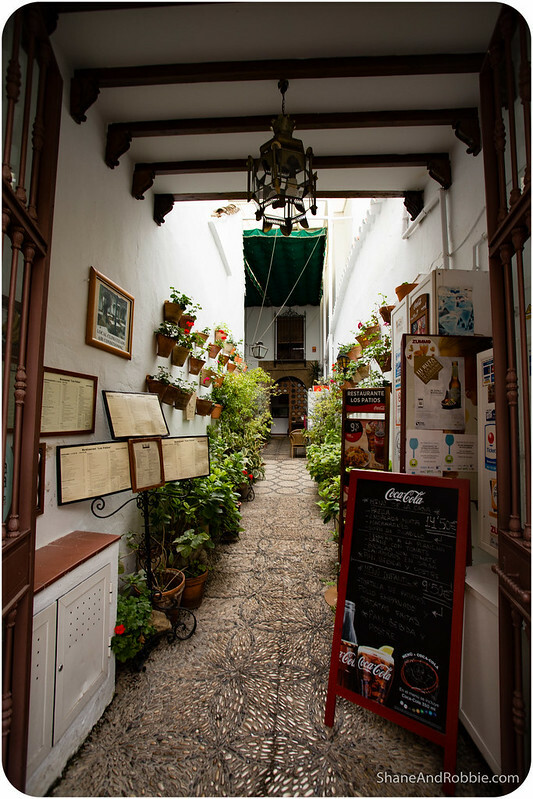 Last, but certainly not least, we went exploring through Córdoba’s old Jewish quarter – its juderia. 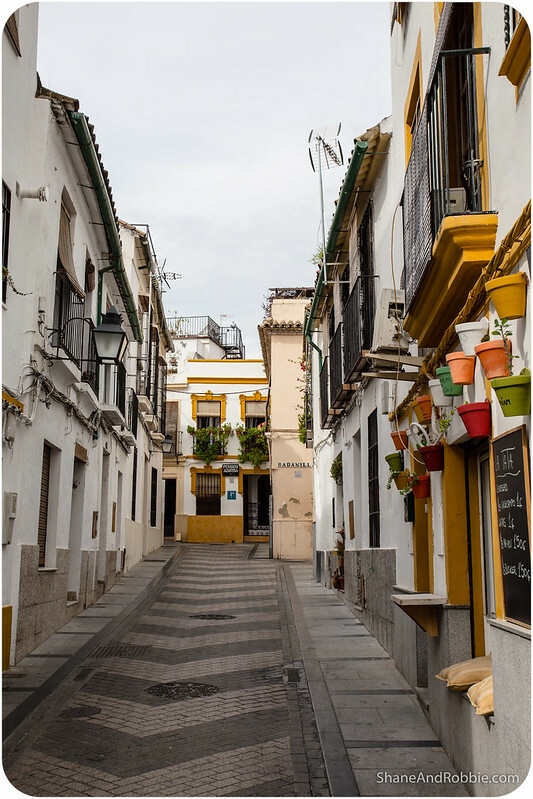 This maze-like network of narrow lanes and secluded plazas was much like the Jewish quarter of Seville, just less commercialised and touristy. 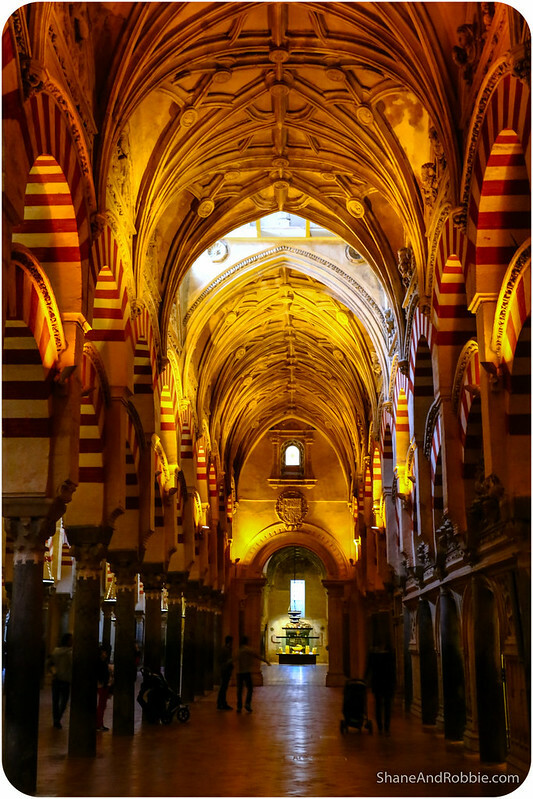 Under Moorish rule, Jewish life and intellectualism flourished here and a number of revered Jewish scholars called Córdoba home. 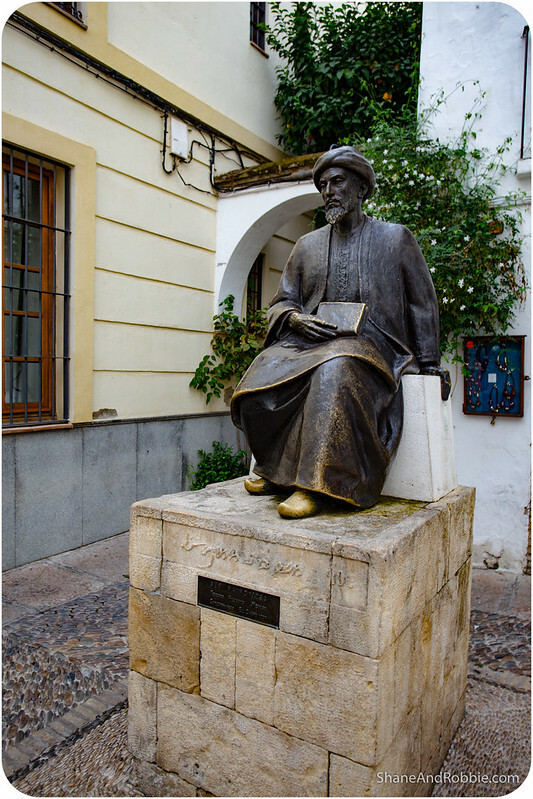 Amongst these was Maimonides, a famous Jewish philosopher and author, a statue of whom stands in Tiberiadus Square in the juderia. 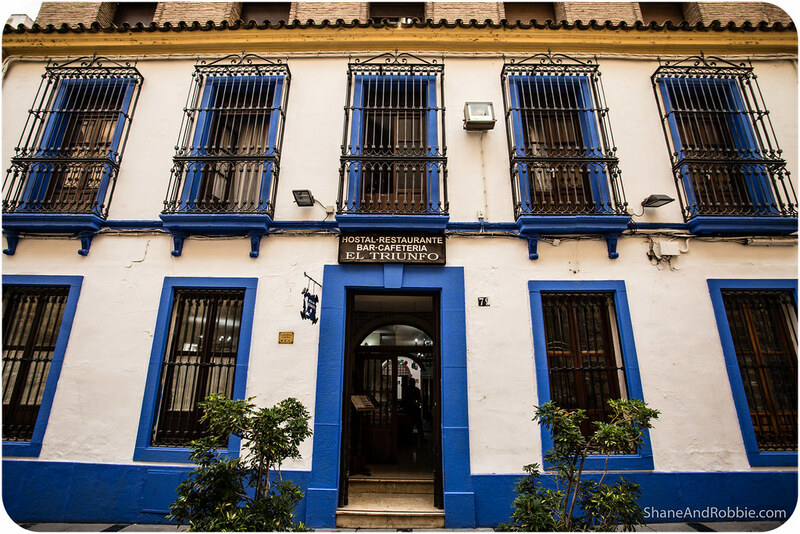 Also tucked away in one of the alleys of the juderia was Córdoba’s oldest surviving synagogue. 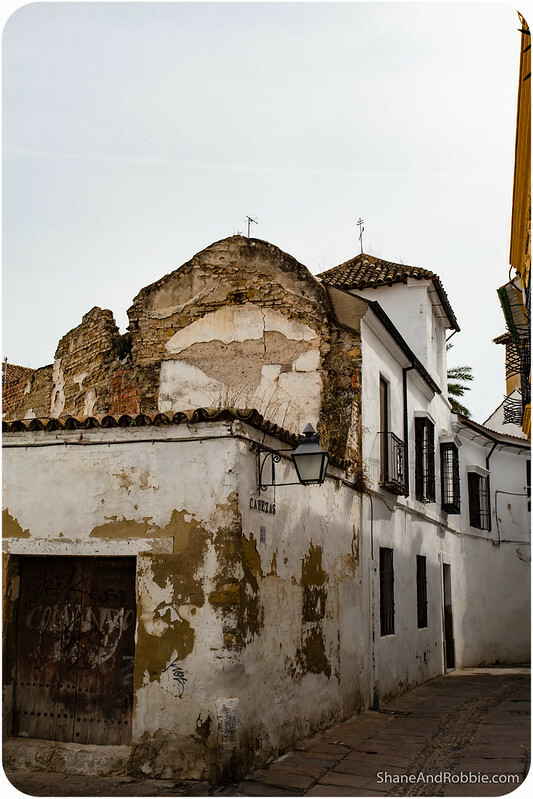 Dating back to 1350, the Sinagoga de Córdoba no longer functions as a place of worship, but it is an important historical monument and 1 of only 3 ancient synagogues left in all of Spain (the other 2 are in Toledo). 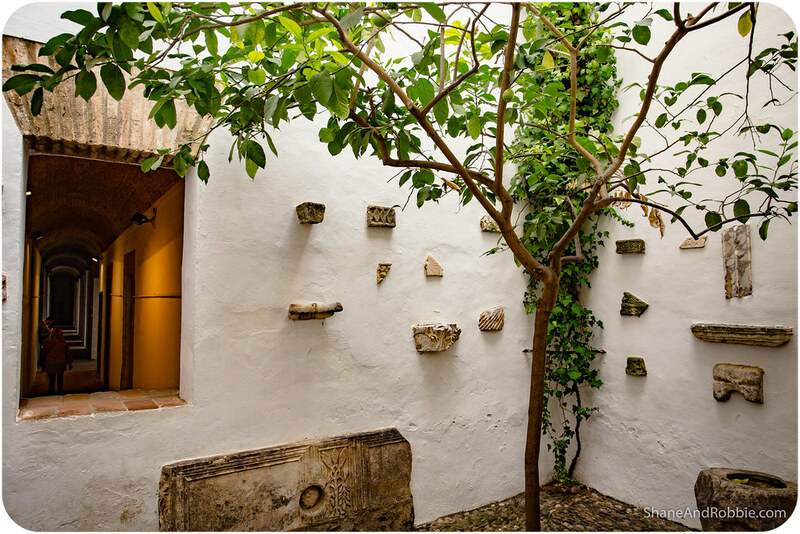 After the Jews were expelled from Spain in 1492, the synagogue of Córdoba was turned into a hospital; today it is a museum. 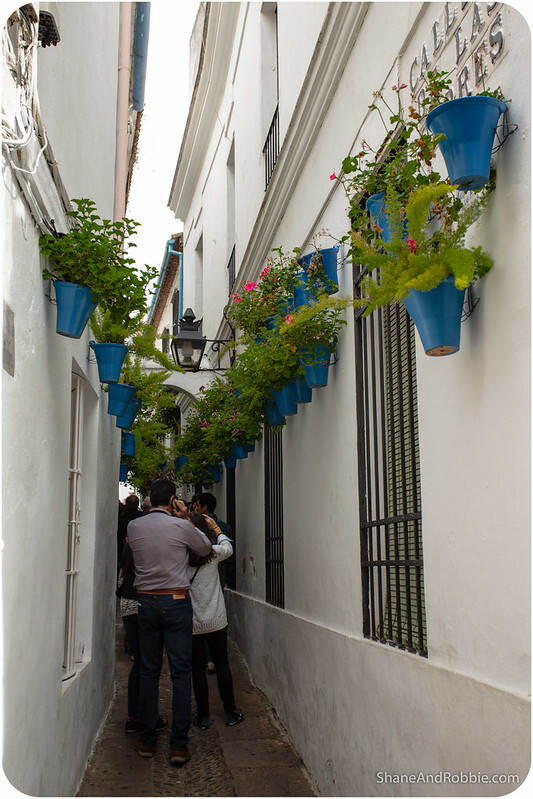 We spent hours strolling through Córdoba’s old town, enjoying the atmosphere of the place. 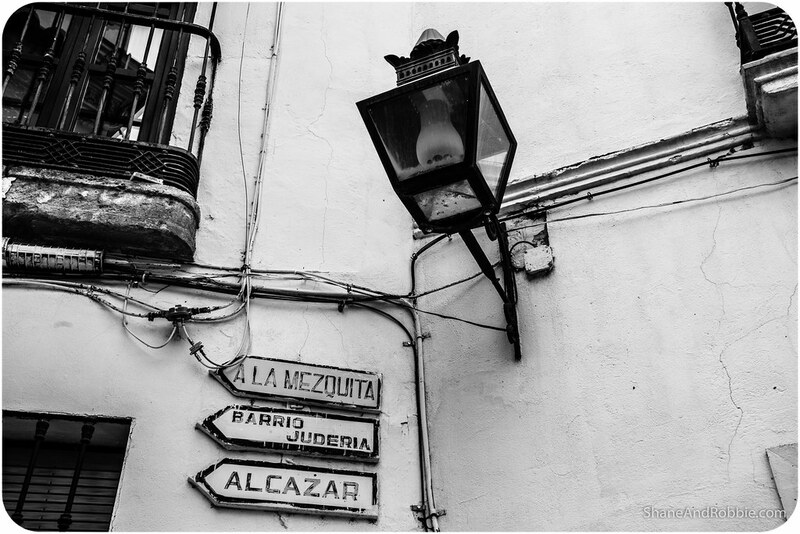 Eventually though we had to make our way back to the train station to catch our ride back to Seville. 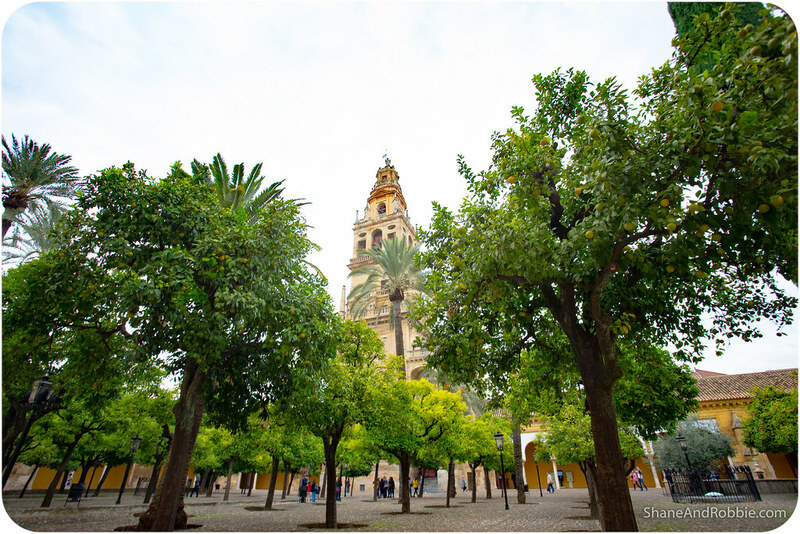 Without a doubt Córdoba has been one of our favourite cities in Spain to explore – with its mix of Christian, Islamic, and Jewish history, it’s a vibrant, colourful, and fascinating place.